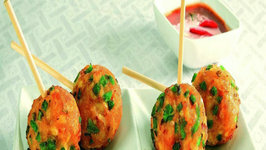 This versatile dish with paneer and green chillies can be served as a starter or as an accompaniment to the main meal. 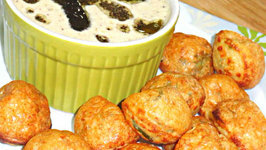 An ideal snack to serve in a garden cocktail party. Easy-to-make, healthy, and tasty too -- that's enough reason to love a recipe! 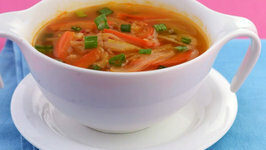 the spicy stir-fry soup is a clear soup with succulent veggies like cabbage and capsicum. 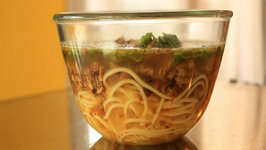 Watch Bikramjit and learn how to make this mild flavored soup, served over egg noodles. 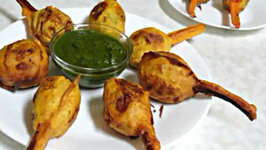 A weekend at the cottage led to a bucket of fresh lake fish and a great Goan masala recipe led to an impromptu video. 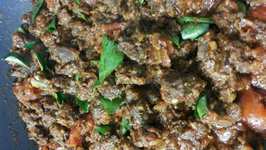 Using Red Masala paste I've made a delicious Red Masala Lamb curry. 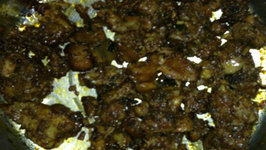 You can also use mutton or beef. 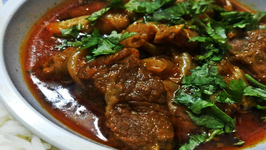 Rara Gosht is a delicious spicy dish and rich in appearance. 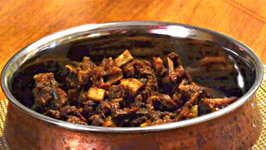 Here Mutton is thoroughly cooked and seasoned with Indian spices. 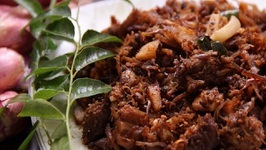 Beef Ularthiyathu is a perfect traditional preparation from 'God's own country', Kerala. 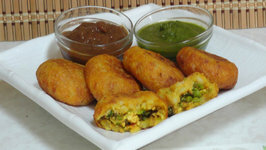 Enjoy the lip-smacking taste of this exotic preparation with a healthy advantage ..
A typical south indian dish. 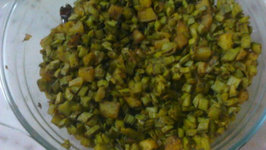 This variety of moru kozhumbu/khadi is prepared during parties or occasions. 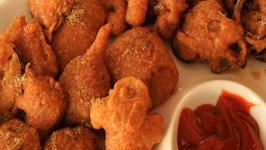 It is simple and delicious to eat. 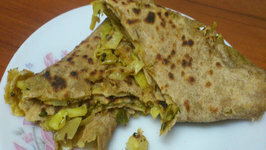 Parathas are a classic North Indian dish, they are basically Indian flatbreads with different varieties of stuffing in it. 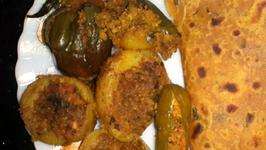 This spicy dish is perfect to prepare during rainy or cold seasons.The pepper and meat combination is a classic. 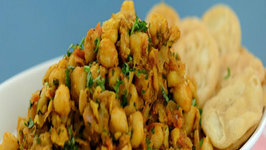 This can also be served as a appetizer or a main dish. 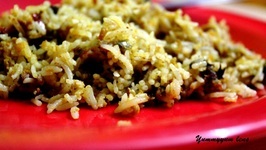 A very easy and healthy stir fry that you can enjoy with a regular meal! 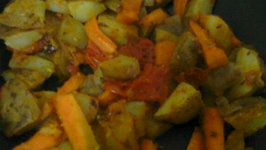 Try this healthy and tasty vegetable stir fry that can be prepared very easily with the least number of ingredients. 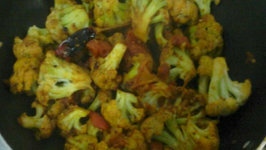 Cauliflower is a vegetable that is very rich in vitamin C and folic acid. 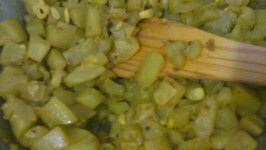 And not to forget - a very delicious vegetable when cooked. 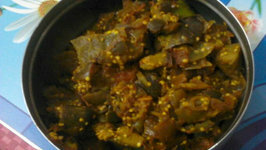 Eggplant is commonly used in Indian cuisine. Owing to its versatile nature and wide use in both everyday and festive Indian food, it is often described (under the name ..
A very easy yet tasty vegetable stir fry. 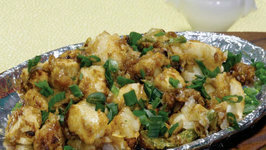 Try it and enjoy this simple and delicious vegetable stir fry! 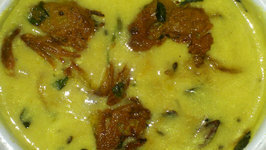 Kerala cuisine is well known for its use of an array of spices used to prepare mainly meat. 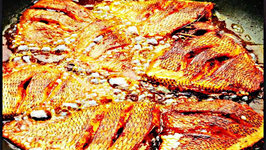 The word Ularthiyathu / Ularthu / Olathu means Dry Preparation'.